We were very pleased with the dealership as a whole. Amjad was very knowledgeable and respectful - he didn’t push or force us into a quick decision. We believe that we got the best price possible and we were happy with the amount given to us for the car we traded. We look forward to a long relationship with A1. We at A-1 Toyota, serving New Haven, CT, look forward to serving your Toyota needs, and we hope that we can help you with your next new Toyota or pre-owned Toyota purchase. We have helped customers from New Haven, East Haven, West Haven, Shelton, and Hamden and we look forward to helping you. A-1 Toyota in New Haven, CT is one of the premier Toyota dealers of new Toyota & Used Toyota vehicles in New Haven, serving East Haven, West Haven, Shelton, and Hamden. We carry the most complete selection of new Toyota & Used CT Toyota vehicles available. 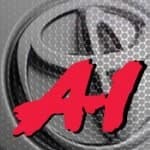 At A-1 Toyota in New Haven, CT, we are your one-stop shop for all your Toyota needs. At A-1 Toyota, customer service is our number one priority. If you plan to buy a 4Runner, Avalon, Camry, Corolla, FJ Cruiser, Highlander, Land Cruiser, Matrix, Prius, Prius c, Prius Plug-In, Prius v, RAV4, Sequoia, Sienna, Tacoma, Tundra, Venza, Yaris, you will always find our lowest prices and great service at A-1 Toyota. Because of our outstanding New Haven, Toyota Service and low, low prices, customers travel from cities such as New Haven, East Haven, West Haven, Shelton, Hamden because they always find great deals. At A-1 Toyota, we offer more great deals on 4Runner, Avalon, Camry, Corolla, FJ Cruiser, Highlander, Land Cruiser, Matrix, Prius, Prius c, Prius Plug-In, Prius v, RAV4, Sequoia, Sienna, Tacoma, Tundra, Venza, Yaris and quality customer service in CT.
Our state of the art service department will keep your Toyota in excellent condition and our friendly staff will make your every visit to A-1 Toyota a pleasant one. Our certified service technicians will keep your Toyota running like the day you bought it. So bring your vehicle in for your next service appointment and treat yourself and your new Toyota or pre-owned Toyota the way you both deserve. We hope that you find our website helpful to your Toyota needs. Although A-1 Toyota serving New Haven doesn’t stay open 24 hours a day, the A-1 Toyota website does. On our website you can research the new Toyota car, truck, or SUV van that you would like to purchase. You can search inventory of all the used vehicles that we offer at the lowest prices, request a vehicle price quote, find the value for your trade, and view pictures and data about the 4Runner, Avalon, Camry, Corolla, FJ Cruiser, Highlander, Land Cruiser, Matrix, Prius, Prius c, Prius Plug-In, Prius v, RAV4, Sequoia, Sienna, Tacoma, Tundra, Venza, Yaris. You can even learn about our latest specials on new and pre-owned Toyota cars that we sell. Whether you are from New Haven, East Haven, West Haven, Shelton, or Hamden we hope you will give us a chance to show how A-1 Toyota is a great Toyota dealer serving all of New Haven.